In today’s world, we’re pretty used to getting what we want with a snap of the fingers. 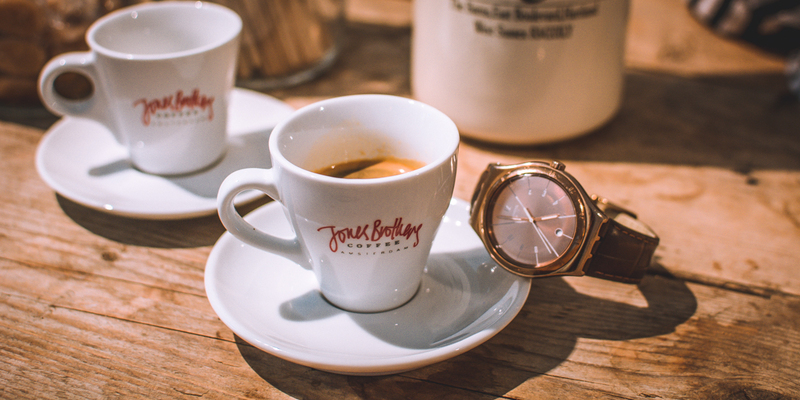 We live in a world of instant gratification and when it comes to wanting a cup of coffee of example, we know we can get our hands on Jones Brothers’ coffee with ease and convenience, leaving us with an awesome, steaming cup of joe ready to slip, slurp and enjoy. In fact, it’s hard to even imagine life before all these mod cons. I mean, how did people manage in days gone by? What lengths did they need to go to, just to get a cup of coffee in hand? Coffee plays such a huge role in our lives today. It slips into any time of day and any type of social situation but it does remain a relatively new habit being only 1,000 years old, compared to say tobacco smoking which has been around for thousands of years! Sufi monks were the first to popularize the caffeine habit around 1000 AD, but it took another six hundred years or so before coffee drinking really got going in the West. When it did, while some Europeans complained about the insomnia, the vast majority were completely enamored with the caffeine buzz. They loved its ability to deter drowsiness, enhance memory, suppress the appetite and enhance moods. Sourcing the beans. Until the first European coffee plantation was established in Java around 1700 AD, the entire world’s coffee beans were grown in Ethiopia and Yemen. Roasting the beans. This was done in a frying pan or skillet over a fire, which sounds easier than it actually is! Once you got the fire going, you had to briskly stir your beans in the skillet until you hear them begin to “crack,” sort of like popcorn. You had to keep the beans moving as it was so easy to unevenly roast them. No wonder then that people wanted to pass this task to the experts… as early as 1700, merchant-roasters began to market their own “brands,” which they distributed to popular coffee houses around town. Grinding and boiling the beans. Once the beans were roasted, they were ground in a mortar, strained in a sieve and then boiled for about 15 minutes. There was no such thing as a 17th century espresso; that wouldn’t be available for another two hundred years! The finished product was a little like thick, unfiltered Turkish coffee. As for the strength? Historians estimate that the typical 17th century cup of coffee was made using one or two ounces of coffee to three or four cups of water which is about half the strength that we use today so it’s pretty safe to say that we’re a lot more caffeinated in the 21st century. And finally, to drinking! The coffee was drunk in a small, shallow dish. It would certainly have tasted more smoky than today’s cups and the texture would have been a little muddy. Bear in mind back then that a bean’s journey from plantation to palate often took months and as coffee was in such high demand and quality beans, hard to come by, unscrupulous coffee sellers were known to reuse beans or mix them with dirt and twigs to stretch out the product. Fancy trying to simulate the historical art of coffee making at home? Thank heavens for Jones Brothers Coffee! Want. Love. Share the buzz.